Lately I have been thinking about what makes a community and why do we choose to live where we do? The first logical explanation that comes to mind is work. We find a job somewhere and put down roots and live. Financial stability is an important reason for living somewhere but actually it’s a small part of why we call a place home. We all want to belong to somewhere and feel a part of something. A community is a place where we care for each other, know our neighbours and really engage with each other. We cheer each other on and really want the best for one another. Your community is like a large supportive family and supporting each other is what it takes to grow and feel nurtured. We are big supporters of our own community and encourage everyone to do the same. Shopping Local means spending your money at locally owned businesses but it also means to engage and be a part of your own community. This Thanksgiving Weekend think about your day to day routine and how your decisions really can help your own local community. 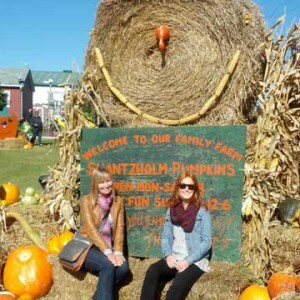 Take your family to a local pumpkin patch, go to a parade (if you are lucky enough to live in the Waterloo region there is the awesome Oktoberfest parade) or just go for a walk on one of your local trails. Your home is not just your 4 walls but the community where you live and play. We choose to live in a place we call home for many reasons and its the place where we truly belong.